Took a few photographs in my back garden yesterday with my iPhone. 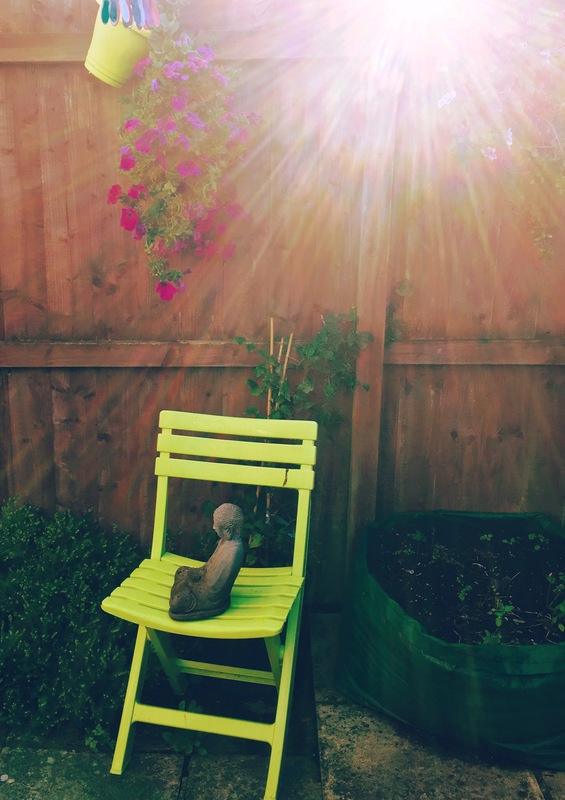 I like the sun rays above the Buddha, seated inappropriately perhaps on the garden chair. Minimal editing on iPhone (Afterlight app).